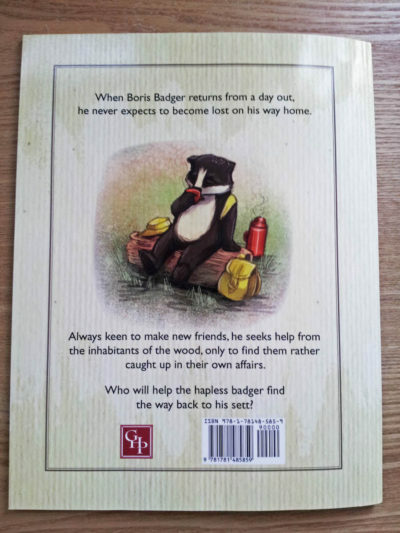 Children's book illustration for Boris the Lost Badger | Mair Perkins Ltd.
Boris the Lost Badger is an illustrated children's book about English woodland wildlife. 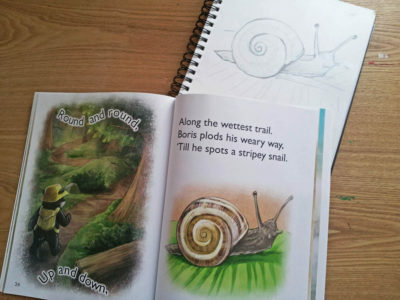 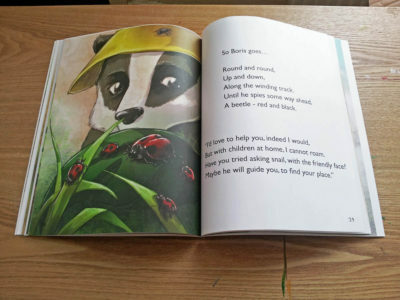 The author, Brian Hainsworth wrote the book to inspire and educate children about nature and to use as a fun learning resource for when children visit his Staffordshire based farm. 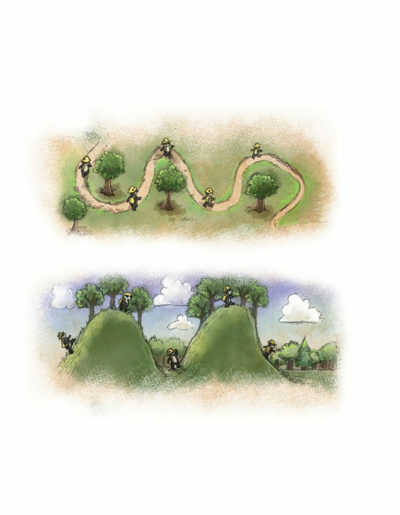 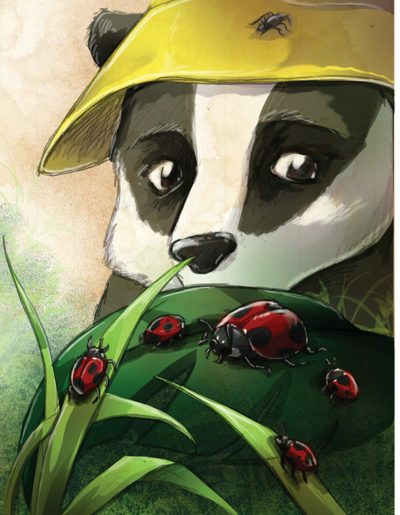 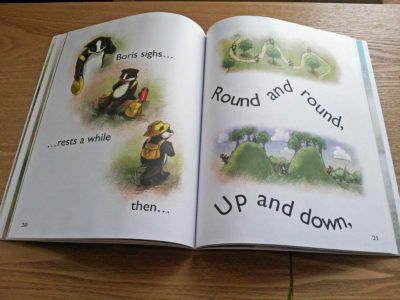 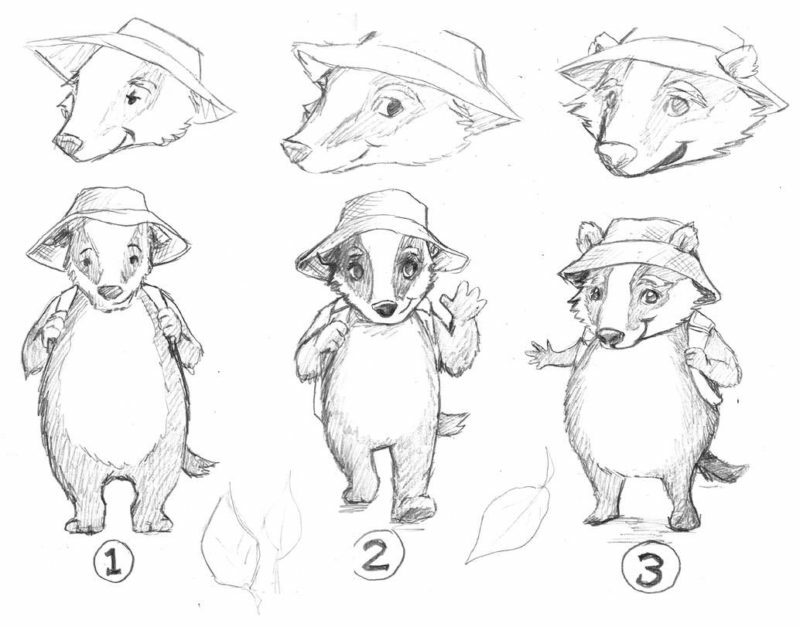 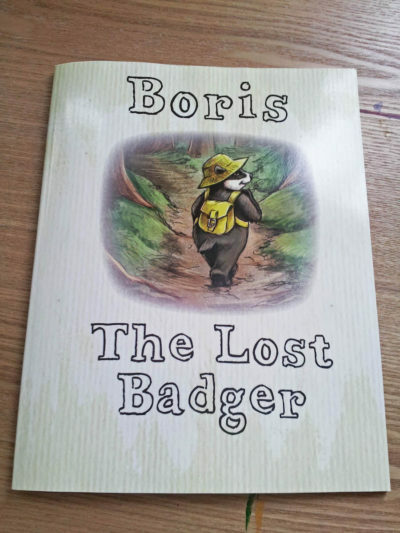 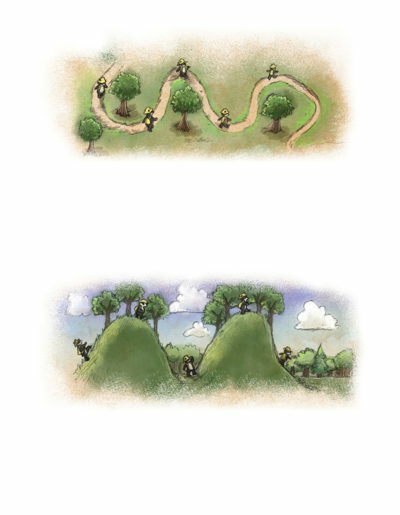 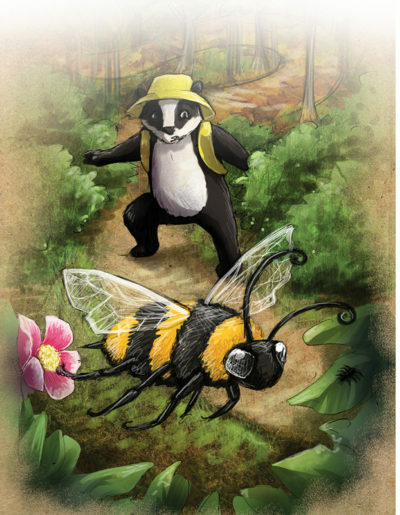 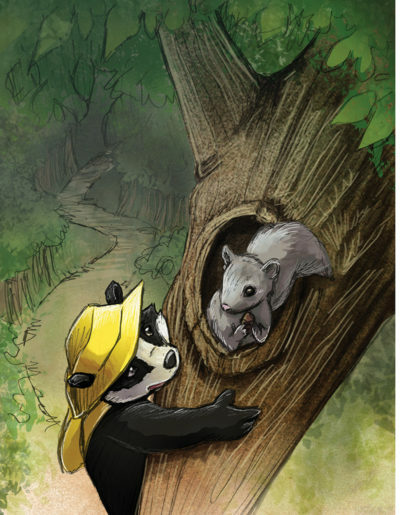 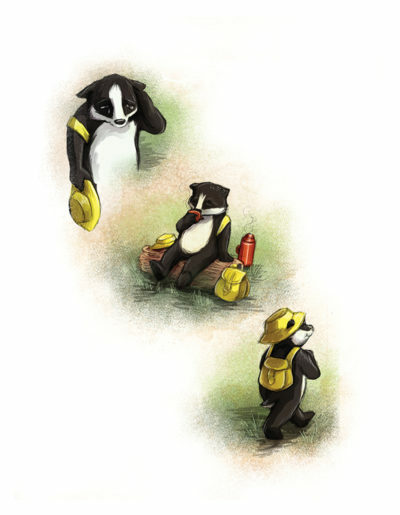 Brian contacted the Derbyshire based illustrator, Mair Perkins to illustrate the story of Boris the Lost Badger. 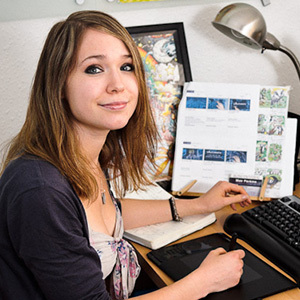 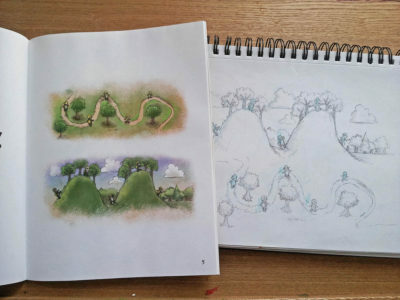 After the initial character designs and page layout thumbnails were approved, Mair began creating the final illustrations. 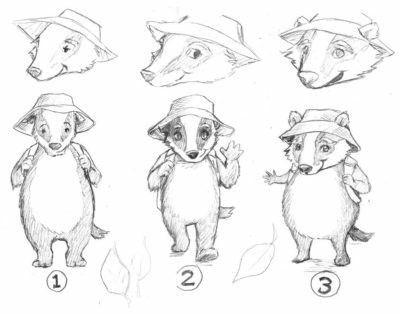 Classic children’s books such as Peter Rabbit, The Wind in the Willows and Winnie the Poo were drawn upon for style inspiration. 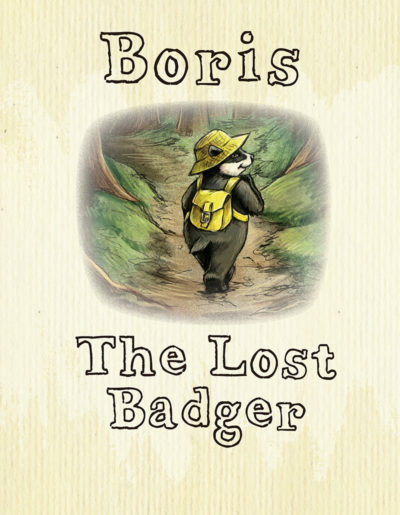 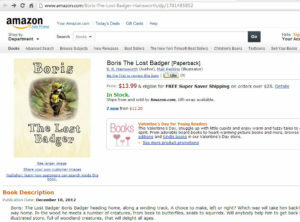 Each illustration for Boris the Lost Badger was drawn out by hand in pencil and then digitally painted with a Wacom Tablet in Photoshop.